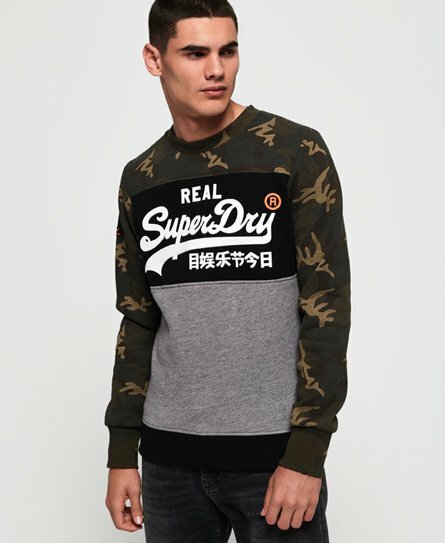 Superdry men’s Vintage logo camo sweatshirt. Keep on trend this season in the Vintage logo camo, an easy to style, comfortable sweatshirt that you’ll be reaching for again and again. This sweatshirt features a high rise Superdry logo across the chest, a block colour design and a crew neckline. In addition, this sweatshirt also has ribbed cuffs and hem for a comfortable fit.